Do you ever forget to feed your fish? Are you sick of needing to organise someone to feed your fish when you go on holidays? 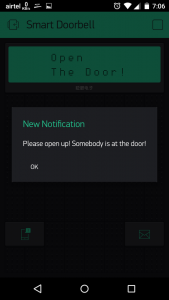 With this awesome project from DangerousTim you can overcome all these problems and more! 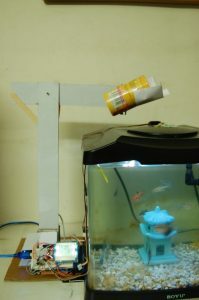 The fish feeder uses a clock to determine when the fish should be fed and two servo motors to dispense the food to the fish. 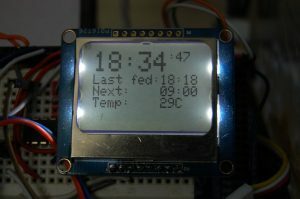 Additionally an LCD screen is used to provide information to the user. 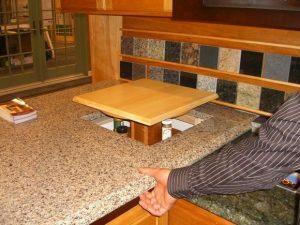 This project is sure to save you a lot of time and ensure that your fish are well fed, but never overfed! 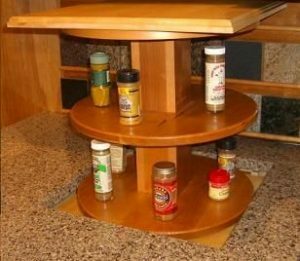 The instructions for this project are very comprehensive and can be found at the following link. You could very easily incorporate the fish feeder into an existing automation system so that you can keep track of key aquarium statistics and adjust feeding patterns remotely. Thinking about making your own automatic fish feeder? Have a project you would like us to feature in this blog? The team at SuperHouse Automation would love to know! Tell us about it in the comments section below or on Facebook and Twitter. Aquaponics is a unique system of raising fish and growing plants together. At a basic level, the fish fertilize the plants, allowing plants to grow in a water saving, chemical free environment. However, developing effective aquaponic systems can be very difficult. 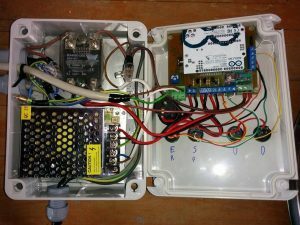 This is why Rik Kretzinger has added an Arduino into his aquaponic garden to make things run as smoothly as possible. 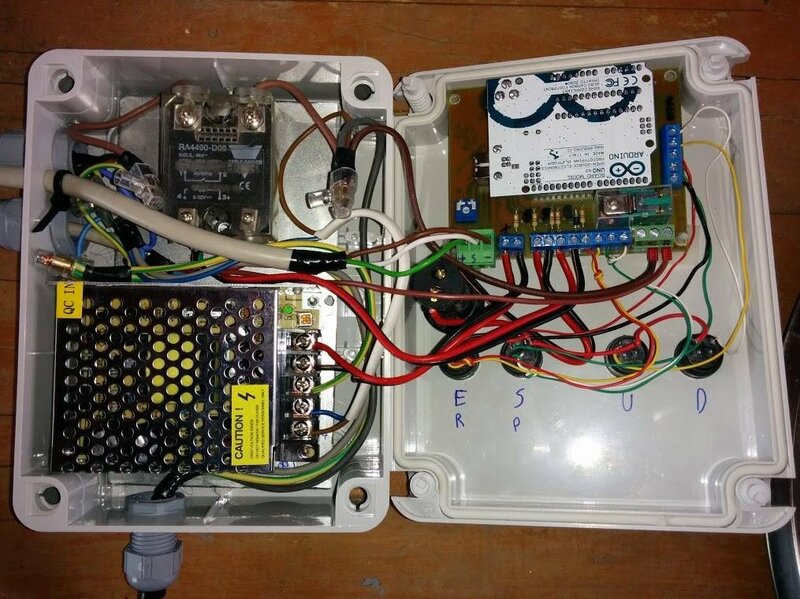 Adding an Arduino allows the garden to be fully automated with various pumps controlled by the data inputted by water level, humidity, temperature and moisture sensors. The project even allows you to control and log data from your garden over the internet! The aquaponic garden allows you to combine the joy of making with the satisfaction of growing your own veggies! 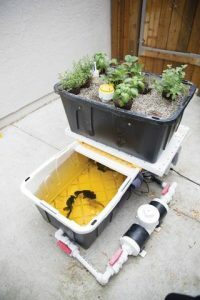 Although the project requires a number of parts to get started, it could be a worthwhile investment in the long run with likely savings from growing your own produce. To get started building your own aquaponics garden check out the following link. The project is extremely well documented and provides many useful tips to ensure that your garden is as productive as possible. 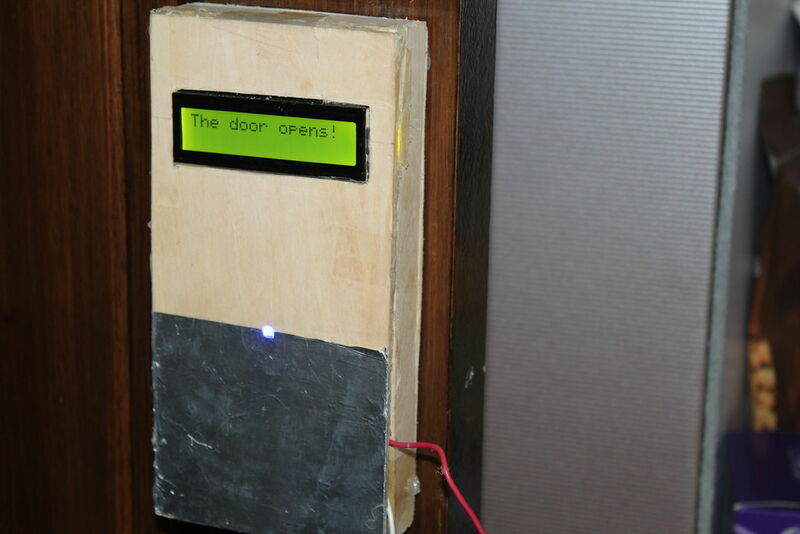 Want to get started creating your own home automation system? Subscribing to SuperHouse Automation on YouTube is the best place to start! 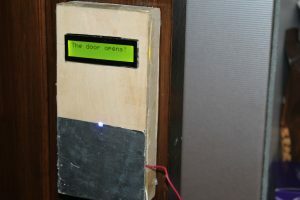 Started on your own home automation project? The team at SuperHouse Automation would love to know! Let us know in the comments section below or on Facebook and Twitter. 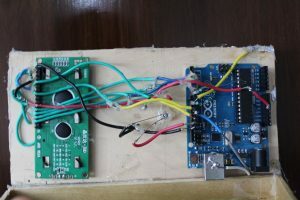 #16: Compiling Arduino sketches with Pocket C.H.I.P. 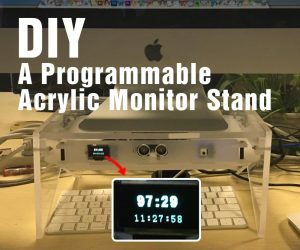 Do you ever find yourself inside your ceiling or under the floor working on your home automation system, and need to SSH to a remote machine or re-flash an Arduino? Sure, you could drag your laptop under there with you, but I don’t want to have my expensive laptop lying around in the dirt or insulation. C.H.I.P. and Pocket C.H.I.P. will be available soon from getchip.com. The following sequence got everything working for me. You may want to do things a little differently, for example by managing the python-serial extension using Pip or storing your sketches in a different location. That’s totally up to you, just make sure you alter the paths shown below as necessary. Note the space and the dot at the end of that line! There’s nothing unusual about the Blink sketch. 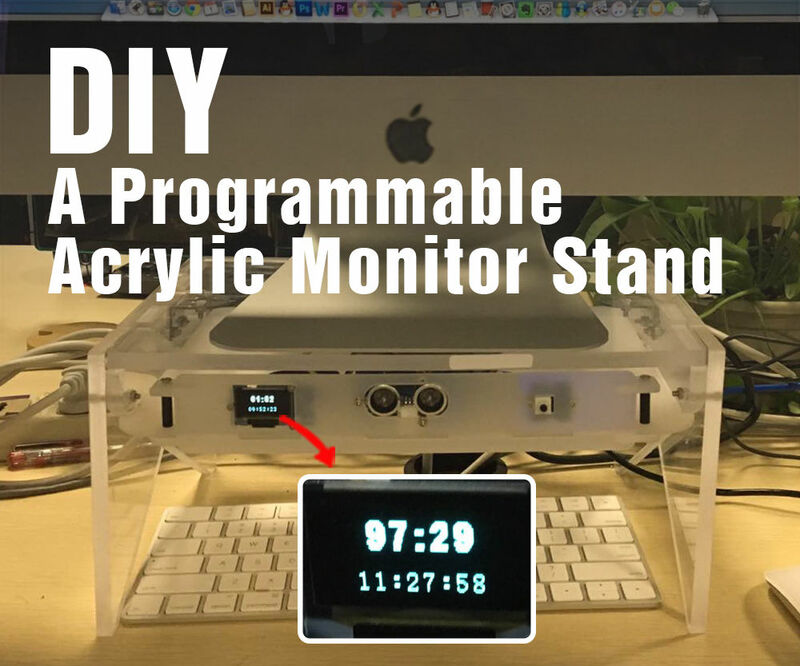 It’s just standard Arduino code that you could compile with the regular IDE. The magic is invoked through the Make file. 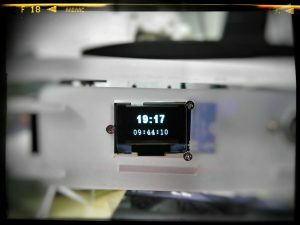 The “BOARD_TAG” value specifies that you want to compile it for an Uno or compatible board. You can change this to match other boards found in the Arduino board hardware definition file, which is located at /usr/share/arduino/hardware/arduino/boards.txt. In that file you’ll find other handy board types that I’ll list at the end. For now, we’ll assume that you’re using an Uno and leave that unchanged. The “ARDUINO_LIBS” value allows you to specify a path to your own custom libraries in case you need them linked during compilation. We’ll ignore that for now, so leave that line unchanged. There are many other options you can add to the Make file to override the default settings within Arduino. For example, you can define the path to a specific version of AVRDUDE if you want to bypass the version that’s bundled with the Arduino environment. But for a minimal example, you don’t need to change anything else. That’s it! Can’t be much simpler. If there are any compilation errors, you’ll see them in the terminal. You’re all done! 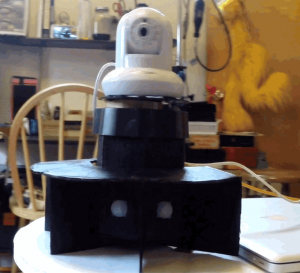 Your sketch should now have been uploaded to your Arduino. You can also use custom board profiles, but that’s beyond the scope of this post! 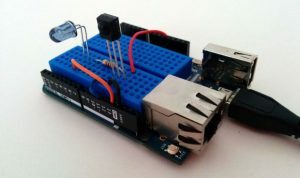 Most common Arduino compatible boards match something on this list. For example, the Freetronics EtherMega operates just like an Arduino Mega with a 2560 processor, so you’d select “mega2560” as the BOARD_TAG in the Make file.